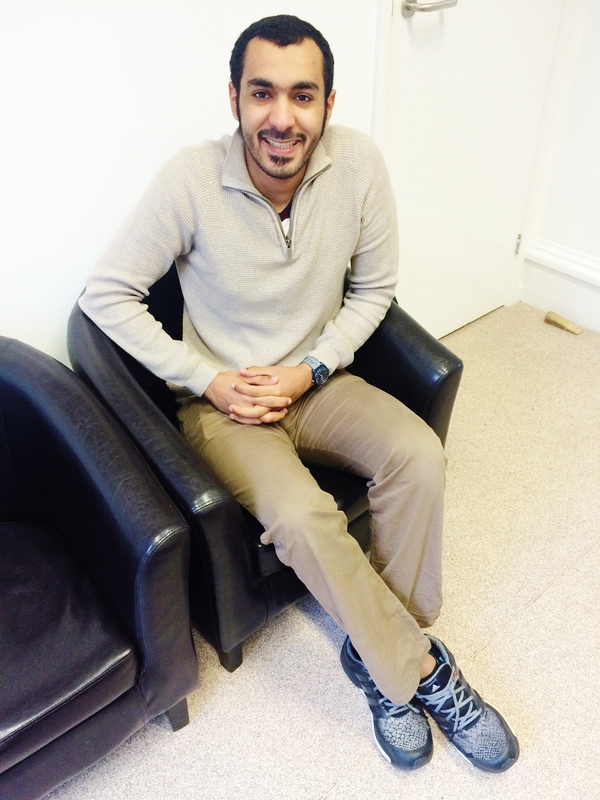 Meet Select English student Rashed from Dubai, United Arab Emirates. Rashed is 26 and is studying on our 25 Hours English Course. Tell us something about your home. Dubai is very famous and has grown a lot. Dubai is very popular with tourists – some people dream about travelling there. It is a safe place with not very much crime. People come to do safari trips, or admire the skyscrapers and the facilities. It’s a very different culture to the UK. How long have you been at Select English and do you miss your home? I have been at Select English since September last year. I do miss my home country, but I have a break every 3 months when I can go back home. Yes, I like living here. It is very different to my home, which is good – it’s good to learn about new things. I live with a host family who are really friendly. They cook dinner for me and we keep in touch all the time. They are like my second family. I am a police officer in Dubai and my English course is sponsored by the police. I have got a scholarship to study a Masters in law in the UK and that is why I am learning English. I enjoy my classes because the teachers are very nice, they give you time and help you with your problems. The Director of Studies also has time to listen and give you advice. I have improved my IELTS score, my speaking skills and everything! I like Cambridge because it is a place for studying. There are many other students here and you do not get too distracted. During the week, I study all the time, and at the weekends I visit other places by train or I hire a car. I have visited London, Leicester, Nottingham and many other cities. If I stay in Cambridge at the weekend, I will go and watch a movie at the cinema or go out for dinner with my friends. There are also carnivals and events in Cambridge. Mill Road in Cambridge is very good for international food. I have made friends from the UAE but also friends from other countries. I hang out with people from many different countries and we speak English together. I have to say some more about the school because I would recommend everyone to study at Select English. The teachers identify your weak points and help you to improve. Before I came, my grammar was bad, but now I can write and speak English and have normal conversations with people about things like politics and religion. You learn formal English which is very important and the teachers set reading tasks and homework. The teachers are also good at preparing you for the IELTS exam. I have studied in other English schools, but Select English is better. The teachers are brilliant.